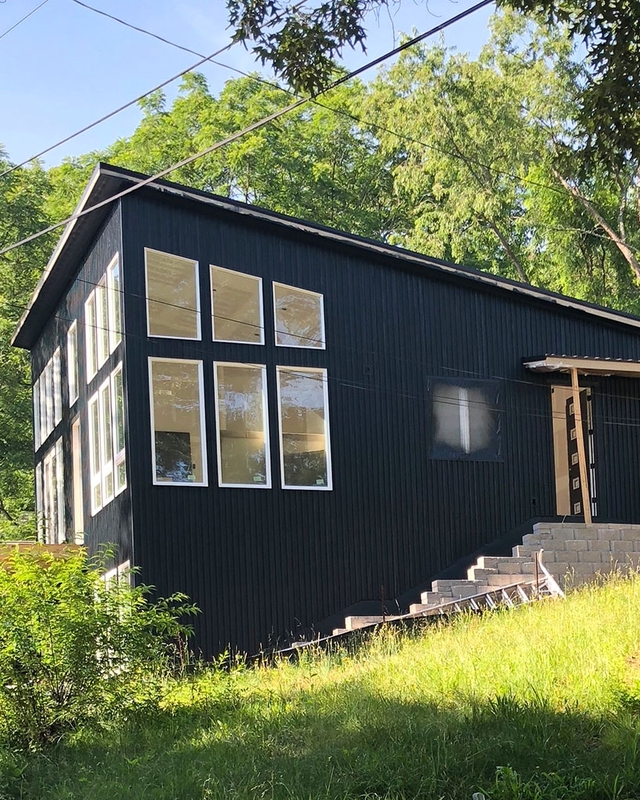 Check out this Scandinavian-inspired home in West Asheville that blends minimalist design with mountain charm. This renovation enlarged the space with vaulted ceilings and transom windows that capture natural light. View more of our award-winning custom homes and renovations! 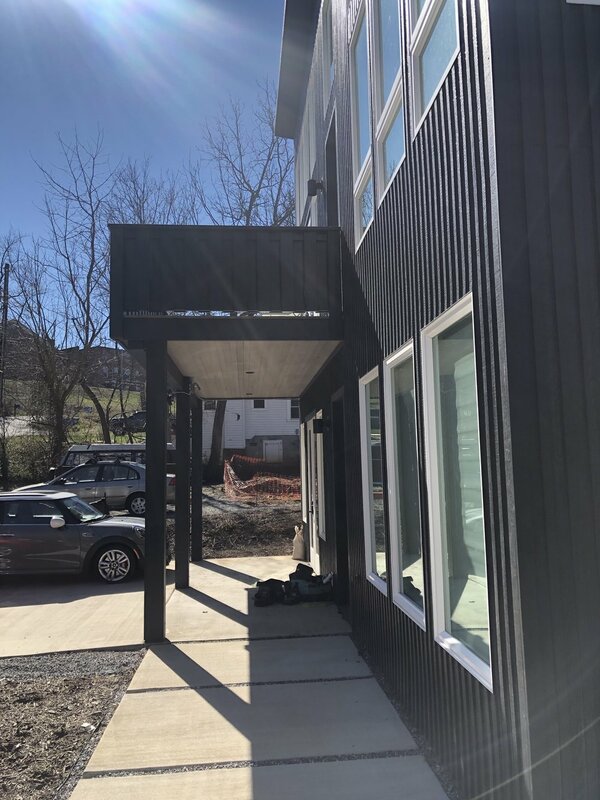 This custom house was a vision of our clients to execute a modern Scandinavian home on a infill lot in West Asheville. The lot is upsloping so naturally we designed the space to have a walkout basement. This also allowed for us to in cooperate an Air BnB space into the lower level for passive income potential. The interior of this home is a blend of minimalist and modern design. The open concept floor plan on the main level features a continuous vault that makes the space feel very large. The kitchen is the focal point of the main level and brings together all of the design elements in one space and includes a black and white waterfall island. The vaulted ceilings continue into the master bedroom as do the large windows with upper transom windows, which allow amble amounts of natural light to pour in. The master bathroom features a floating double vanity and curb less shower.The exterior of the home is where the Scandinavian design takes full affect. The home features a butterfly roof that draws your eyes to up. The 4” on center board and batten design also gives the house a very lineal feel. The charcoal colored siding with white windows gives the house a distinctive feel from the street that is hard to take your eyes off!